Matt Brown is a former scientific editor and journalist and has contributed to several popular science books. 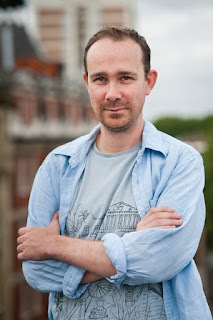 He is the Editor-at-Large of Londonist.com and author of Everything You Know About London Is Wrong, the predecessor to his popular science book Everything You Know About Science Is Wrong, both published by Batsford. It's a combination of factors, really. First and foremost, science has a unique ability to befuddle. So much is counter-intuitive or outside of everyday experience that it's easy to get the wrong end of the stick. At the same time, we're fed a steady diet of misinformation about science. Exaggerated press reports, the spread of pseudoscience and the misrepresentation of science in popular culture all take their toll. The field - or people's perceptions of it - needs a regular debunking to shake out all the nonsense. On a more prosaic note, I have a long background in science editing, writing and quizmastering, so science was the natural choice as successor to the first volume in this series, Everything You Know About London Is Wrong. I've always found that learning from mistakes is the most effective way to lodge something in the memory. Why not embrace 'wrongness' as a tool? The conceit lets me turn the usual format of a popular science book on its head. Instead of filling a gap in the reader's knowledge, I hope to challenge what's already there. Plus, everybody loves a bit of nitpicking and pedantry, don't they? There's a whole universe of false facts out there to be debunked so I'm now moving on to other volumes in the series. Expect books specifically covering space and the human body, in the near future. I'm also working on a volume about the art world. The prospect of a new Star Trek series has me giddy with anticipation. I'm a life-long Trek fan. Indeed, these Everything You Know books were partly inspired by The Nitpicker's Guide To Star Trek - a favourite tome of my teenage years. I'm also excited to have a 14-month old daughter who's growing ever-more curious about the world. I can't wait to show her all the wonders out there.